EON Production has once again joined forces with Christie's for a spectacular Bond themed auction, this time to raise funds for Médecins sans Frontières (MSF), other charitable organisations, and the United Nations Mine Action Service (UNMAS). The live auction on 18 February 2016 is led by an Aston Martin DB10, one of the series of DB10s designed and engineered by Aston Martin exclusively for James Bond, Spectre, illustrated above. Most of the DB10s were modified for use in the filming of Spectre, but two of those produced were kept back as show cars, for display purposes only, and this is one of them. The car is expected to realise between £1,000,000 and £1,500,000 and is to date the only DB10 to be released for public sale by Aston Martin and EON Productions. 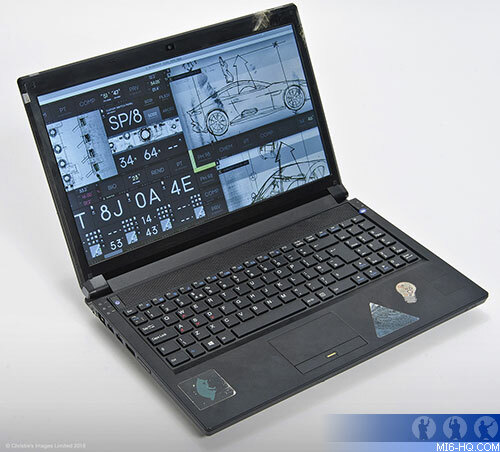 This is the only car that includes a special plaque signed by Daniel Craig and was displayed at the world premiere of Spectre at the Royal Albert Hall, London. 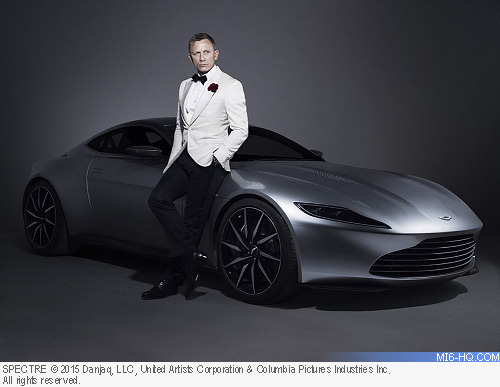 Aston Martin has been associated with the James Bond franchise for over 50 years, with the DB10 model featuring in the latest Bond film, "SPECTRE". 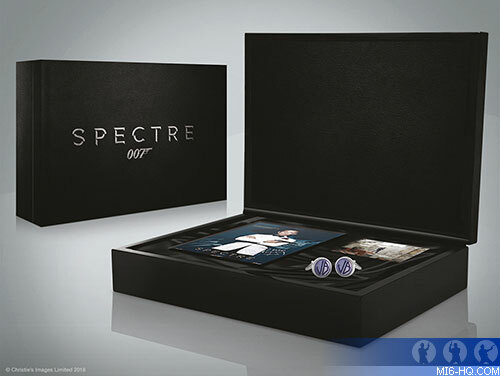 Also on offer will be the Omega Seamaster 300 worn by Bond in his rescue of Madeleine Swann from her Austrian clinic, Q's laptop that he uses in the lab and in the field, Bond's blue 'JB' Tom Ford cufflinks that he wears for the opening scene of the film, and a Daniel Craig signed Blu-Ray of the 24th James Bond film.